Aaron Davis, also known as the Tattooed Preacher (www.TattooPreacher.com), has been an ordained minister for over twenty years. He is the author of four books, The Spirit of Religion (2006), Love Thy Neighbor (2006), best-selling Quantum Christianity: Believe Again (2015) (available also in AudioBook), and #1 best-selling Limitless – You Can Experience the Freedom, Power and Potential You Were Created For (2016) (Also available in Limitless Young Adult Version and Sin Limites (Limitless en Espanol). Aaron has a passion for healing & breakthrough and has served as a youth pastor, an associate pastor, a traveling evangelist, a street evangelist, a church elder, an online technology pastor, a worship pastor, a freedom/deliverance ministries pastor, and has served on the board of trustees in one of the most respected ministries in the United States. He has worked with and ministered to the homeless, inner-city youth, gang members, and drug addicts. He has had multiple opportunities to work privately in a mentoring and service capacity with celebrities, their families, and their staff. He travels internationally as a keynote speaker on the subjects of leadership and team development, referencing his extensive leadership experience in many arenas including law enforcement, SWAT, conflict resolution, crisis emergency plan development, being a man, husband, and father, and experiencing personal freedom, in both corporate and faith-based seminars and workshops. Most recently, Aaron launched the website www.LimitlessSolutions.org and www.LimitlessSolutionsPublishing.com for the growing library of resources related to his Limitless curriculum, including video coaching, personal coaching, curriculum implementation, freedom coach training, and ministry staff development/consulting. 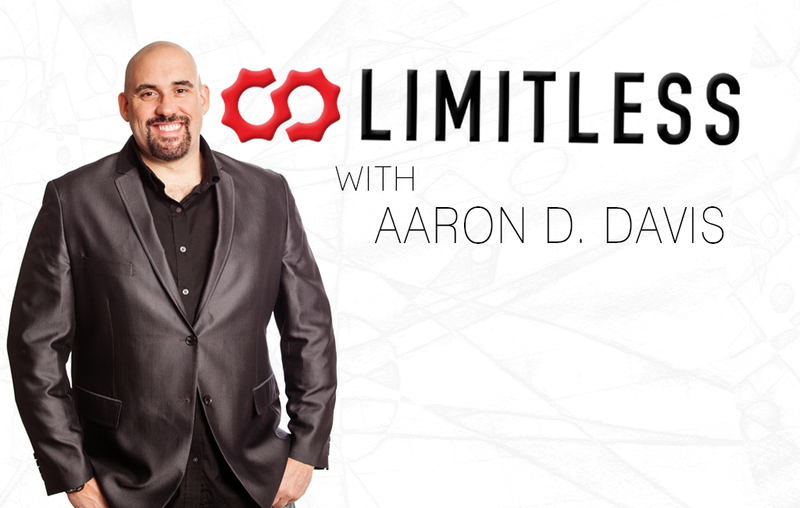 In the near future he intends to extend the Limitless name and principles into corporate training and coaching as well. Aaron was a law enforcement officer from 1999 until 2008, serving as a DARE officer, a school resource officer, a detective sergeant (criminal investigations division), and a SWAT team member, and was awarded Officer of the Year in 2002. An attempt was made on his life in the line of duty, forcing a medical retirement. Aaron is originally from Detroit, Michigan, and lives with his wife of twenty years, Lisa, and his son, Rocky, in Nashville, Tennessee. When he’s not researching, writing, speaking in leadership events, coaching, and serving others, Aaron enjoys riding his Harley-Davidson motorcycle, scuba diving, skateboarding with Rocky, and being an intentional husband and father.